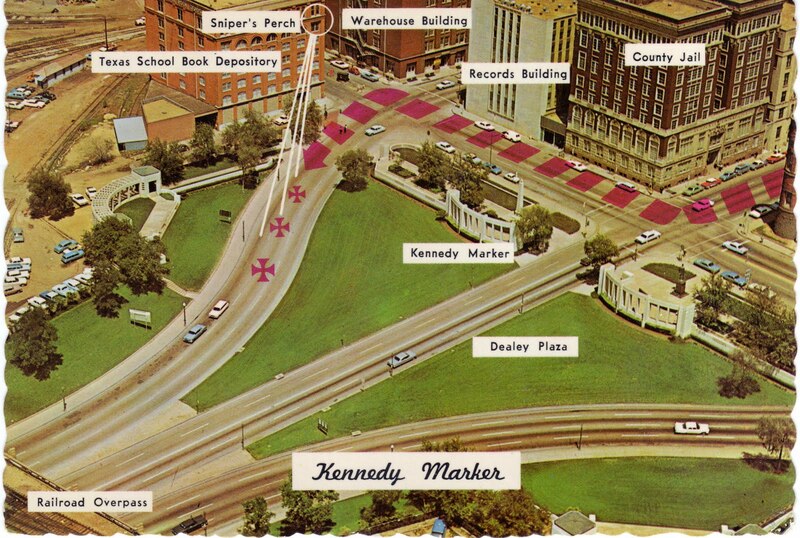 Written on the back of the card: "This marker stands near the site of the assassination of the late President John F. Kennedy in Dallas. The scene draws thousands of visitors each year, many of whom reverently pause to leave a floral tribute to the slain president." Using the Iron Cross as the symbol to mark key locations is an interesting choice. This comes from our family's collection and was originally mailed in March 1970.